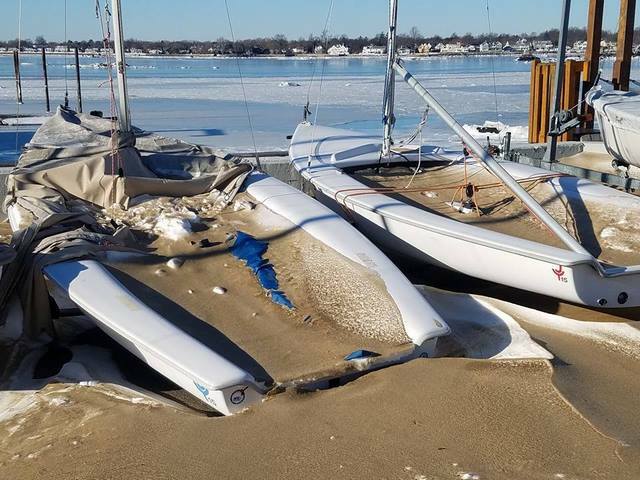 This is what a bomb cyclone did to our dinghy fleet. Who doesn't love a boat full of snow and sand crust? Fortunately Tropique faired better than some others, but the results ain't peachy either way.